Select the Group that is going to the "Parent" Group so that this current group will be a subgroup of that group. 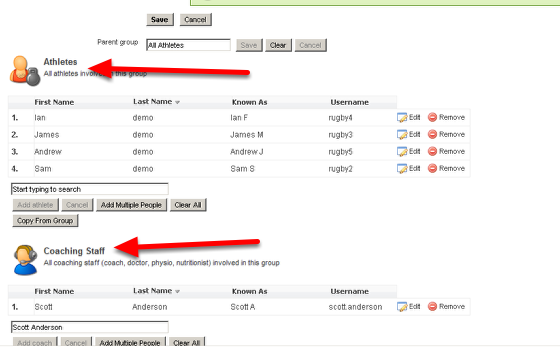 Choose the group that you want to load as the parent group. 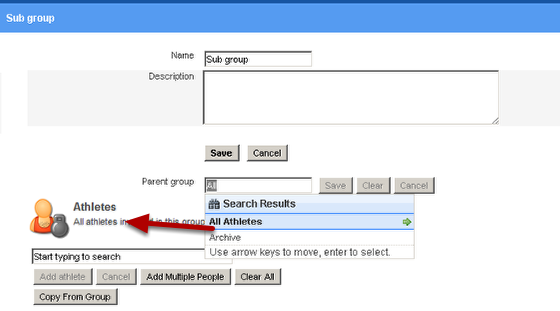 #1 Click Save and #2 OK on the pop up box and the "Sub group" group will be as as a subgroup to the All Athletes group. Now add the athletes, coaches, and any groups which need to be subgroups of this current group.